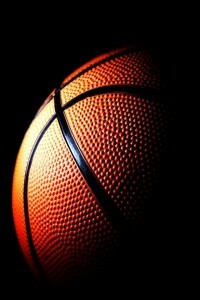 Here are SpotPlays.com we have a strong record in the big NCAA tournament games. We pick our spots and we’ve don’t give out a play unless we feel we have an edge. Tonight’s Final Four championship game is such a situation. Virginia has been a top team all year, not much different than the previous year when they entered the tourney as a #1 seed and lost to a #16 seed, the first time in history. Credit goes to UVA this year as they made up for that shocking loss by winning 5 in a row in 2019 to reach the finals. However, some divine luck had to help them in their last two wins to even reach this point. Duke anyone? Texas Tech, on the other hand, has been ultra impressive in March. They crushed a good Michigan team before convincingly beating Gonzaga, who had looked awesome up until that point. Tech then met Tom Izzo and an experienced MSU team on Saturday, and the final score was even deceptive. Texas Tech dominated the game, and Tom Izzo and the Spartans simply had no answer. Later than same evening UVA was very fortunate to beat a game, but short-handed, Auburn Tigers team. The only reason the Red Raiders are the 1 1/2 point underdog is because of name recognition. They should be favored in this game based on their recent post season performance. We expect an outright win.